Founded by Zuzana Licko and Rudy VanderLans, Emigre is a digital type foundry and publisher of the design journal Emigre magazine. Based in Northern California, Emigre was there, in the eye of the storm, when the Macintosh computer was first introduced in 1984. As part of a small group of believers, Emigre used the restrictions of low resolution output to create inventive new typeface designs and layouts. Here are some EULA Highlights you’ll want to keep in mind if when you’re licensing Mrs Eaves, Solex and/or any of their other wonderful fonts. Desktop use supports up to 5 devices at 1 location. You may extend your license to support more devices and additional locations. You cannot share the font with users that do not have a license for the same fonts. You cannot embed the font on websites, flash, or within applications without additional licensing. You cannot distribute the font files outside of the licensed location without additional licensing. EULA highlights will be posted every other Monday. Next up is exljbris. We are overflowing with new fonts this week! Our latest releases include FF Dora & FF Signa Slab from FontFont, Orlando from Filmotype, Herman Mono from Geen Bitter, HS Alwafa from Hiba Studio, Espuma (50% off until June 14) from Mint Type, Mic 32 Stencil from Moretype, Griffy, Rochester, Skranji, and Seaweed Script from Neapolitan, Orenga & Pona Display from Tipografies, and Nexstar from Wiescher. Emigre is also introducing a character extension to Alda. Heimat Stencil and Heimat Mono from Atlas are $90 until May 26. Relato by Emtype is 30% off until May 31st. Abdo Egypt and Abdo Joody from Abdo Fonts continues to be 30% off until June 2nd. Latinotype’s recent extension, Trend Hand Made, is $19 until June 12. 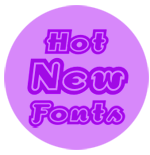 Just when you thought it couldn’t get any better, we’ve got hot new fonts this week that are sure to be memorable. We are excited to bring you FF Angst and FF ScratchedOut from FontFont, and Template Gothic and Dogma Outline from Emigre. These versatile fonts have all been optimized for Windows 95 and are sure to make any project a standout!